Avant-Garde Glass provide frameless glass pool fence installation at an affordable price. We know every pool is different, so we strive to work with you to ensure that we can provide you with the most elegant solution to fit your specific requirements. Our panels come in a range of stock sizes and we can also provide custom glass if required. 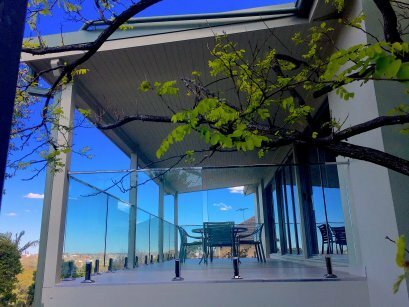 Looking to install glass balustrades on your balcony, veranda or deck? Avant-Garde Glass can help! Speak to us about our polished chrome or satin finished top rail packages today to find a look that suits you. 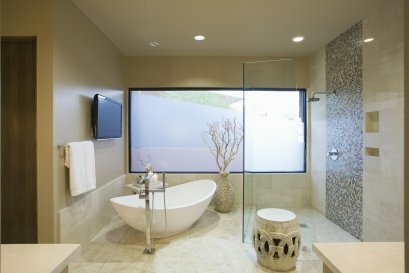 Give your bathroom the facelift it deserves with our glass shower screens. We can provide you with custom sized panels to fit your particular configuration. 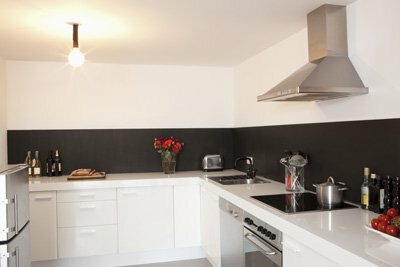 Want to install a frameless glass splashback in your kitchen? We’ve got you covered! View our comprehensive guide on how to have a custom glass splash back installed in your home today! Nothing says elegance, like a frameless staircase balustrade. 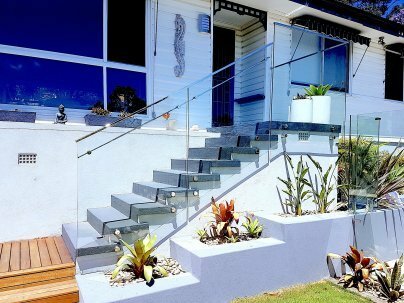 Our team has been giving homes all across Sydney a major facelift with the addition of a modern, frameless glass staircase installation. Find out how we can do the same for you and check out some of our past jobs to find out more. Looking to install the job yourself? Our DIY Guides will take the guess work out, guiding you through the complete install from start to finish. Visit our shop today and view our full range of glass and hardware available for purchase directly from our website to your door. Want to check out our work? View our gallery of our passed jobs to see what it is like to get the Avant-Garde experience. We promise you won’t be disappointed! Well done boys!!! 5 stars!!! I would just like to thank all the staff at Avant-Garde Glass for the installation of our pool fence. The fencing looks great and the installers were fantastic. I would have no hesitation in recommending this company to anyone!! So you’ve just had a new pool installed, or maybe you just wanted to update the look of your existing pool. If you want to make a real impact, the great news is there is an elegant, yet simple solution – frameless glass pool fencing! 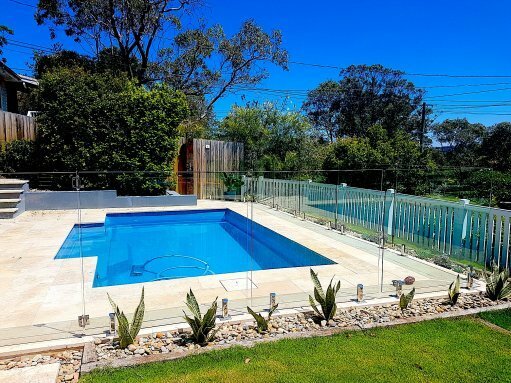 Homes all over Sydney are now using frameless glass panels to fence their pool, and it is surprisingly more affordable than you may think. If you are considering this as an option, Avant-Garde Glass offer frameless glass pool fence installation in Sydney and its surrounding areas. We have a range of fencing systems that suit your particular vision for your pool area, or the overall décor of your home. 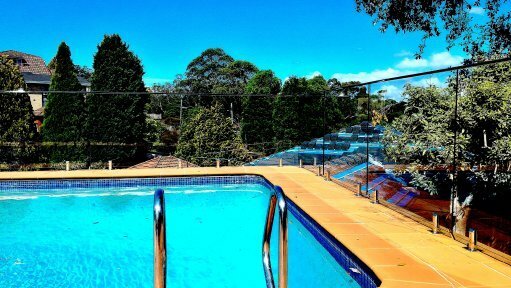 By far, the most sought-after pool fence solution in Sydney – we have found that customers really love the seamless look of glass panels which sit on top of stainless-steel spigots. Whether you are installing on a concrete slap, on travertine tiles or even a wooden deck, our installers have got you covered. Want to maximise your walking area? We all know that space is a premium in Sydney- so we do what we can to maximise the area that we already have. Side fixed panels are the ideal way to make this happen! Our installers will mount the glass on to the face of the concrete walls or slabs surrounding your pool, with stainless steel standoff pins. These also come in a variety of styles, depending on your preference. Another great option to choose from if you want to utilise glass around your pool, but don’t want to go for the frameless option is semi-frameless fencing. Everyone’s taste is different, and semi-frameless may suit your existing layout better than our other options. One common theme that we have found when customers enquire about our semi-frameless range is that it is believed to be significantly cheaper. Let us put that myth to rest! We would only recommend the semi-frameless option as a matter of taste as there is no significant difference between this or our frameless range. Having said that, the semi-frameless look offers a stylish and modern look that a few other fencing systems can provide. 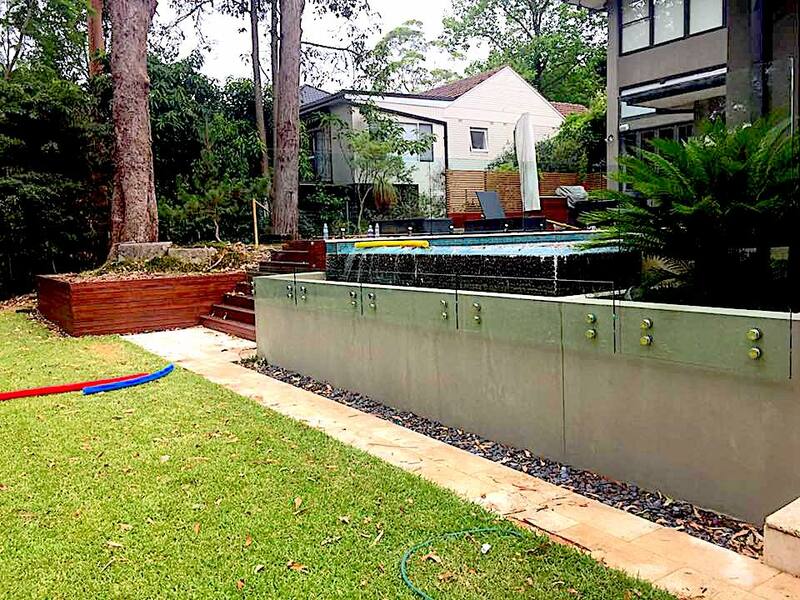 Enquire about our Sydney semi-frameless pool fence installation services today for a free measure and quote. We also offer commercial pool fence installation, for projects in the Sydney area. There really isn’t any job too big for the Avant-Garde Glass team to handle. We have had experience in a vast range of projects from residential to commercial. If you would like to discuss a commercial project further, please feel free to contact us below and we can see how our companies can work together. When you work with us, we want to make sure that we give you the Avant-Garde experience. What does this mean? There are a lot of companies that supply frameless glass fences and that work with pool fencing specifically in the Sydney area. It is imperative that you are comfortable with your choice of installers – you only want to do this once after all! Overall, there are a few things that you really need to look out for when making your final decision. Do they have experience in installing fencing that is compliant with NSW pool fencing regulations – specifically working with councils within the Sydney region? Are they willing to consult you on the best options for your fence to suit your objectives, not push their premium products on you to make an extra dollar. Are they willing to provide you with an itemised quote and design layout, not just an overall price? We have been around the block, and back again. Our team of installers really have seen it all! If you have a tricky job, that others may have turned down – we can help. We have two in house engineers who will work with you on your plans so you can rest assured that you are in safe hands. I had a pretty difficult job that required installation on my retaining wall. After looking around at a few different places, I found Avant-Garde Glass and I am really happy I did. They made the whole process very easy and did it at a very reasonable price! Will be using them again when we do our bathroom renovations later this year. Avant-Garde Glass is located on McIntyre St Gordon. We are located about 30 minutes from the Sydney Airport (SYD). We are open Mon-Sun: 9:00 am to 5:30 pm. For additional questions, you can call us at (0420) 519 322 or you can find us on Yelp and Truelocal.